Recently, the Guangxi Publicity Minister Conference was held in Nanning. In the conference, Hengxian County of Nanning City made a speech on promoting the construction of county-level media convergence center. Hengxian County media convergence center was the county-level media convergence center mainly promoted by the Publicity Department of the Central Committee of the CPC and was also listed in the first batch of county-level media convergence centers in China and the whole Guangxi. Hengxian County was also the only county to make an exchange speech at the conference. It was known that Hengxian County adhered to the principle of “Three Integration (institutional integration, platform integration and process integration)” in the construction of county-level media convergence center. 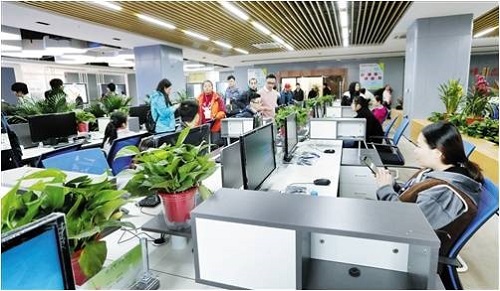 It promoted the overall integration of media convergence center and coordinated the county radio and television stations, Hengxian County People’s Government Network and more than 130 county-level government micro-blog platforms. It has achieved the comprehensive integration of grass-roots publicity organizations and the overall integration of news resources, government resources and industrial big data to achieve media resource sharing, collaboration of collection and editing, and multi-media linkage.